Composting shouldn’t be challenging, but I do find it challenging. Mostly as there is a habit to be started and then maintained. I found it very difficult to maintain last year. This year is about making it work. There is a kitchen caddy as well, so we can continue to compost suitable kitchen waste. Yesterday, as the weather was fine, Pops mowed the lawn. Today, off I trundled to the plot with a wheelbarrow of grass clippings and shredded paper. There are simple rules as to how and what you should put into compost, all predicated on layers of brown and green. The daleks were both filled with grass clippings layered with shredded paper. All being well, the daleks will continued to be fed. It is true what is said about the grass clippings being hot, they were certainly very warm to touch as they were piled into the daleks. A tip given to me today by an allotment neighbour, was that if you are growing runner beans; mulch them with grass clippings to nitrogenise the soil. Not sure if this works, so answers on a post card for that please. Some peas were sown out today, but not many. A handful of petite pois and kelvedon wonder pea were sown directly by way of experimentation. There is a possibility that I might soak some peas and then perhaps plant out once they have chitted. I would like to see however, if these come. 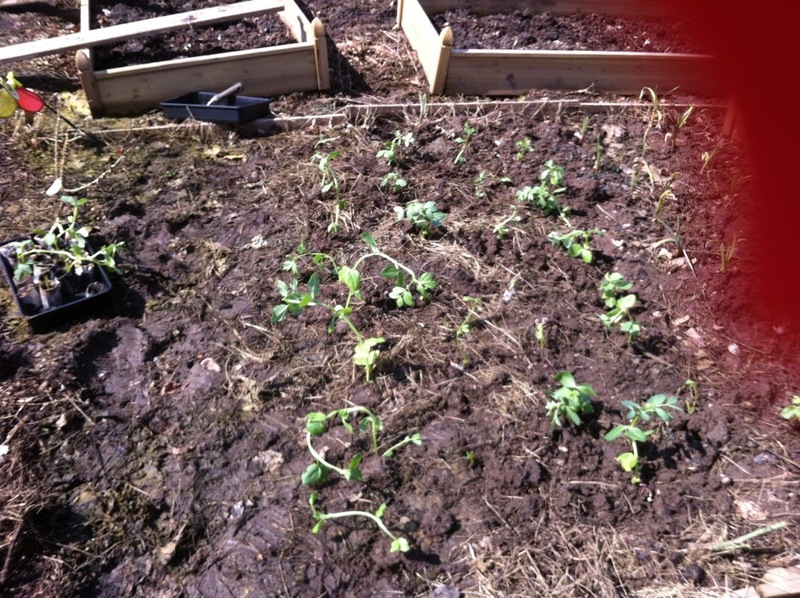 These were sown by the netting that bisects the plot and also by the bean/pea netting. I will leave it a week or so perhaps, before I sow runner beans in modules. 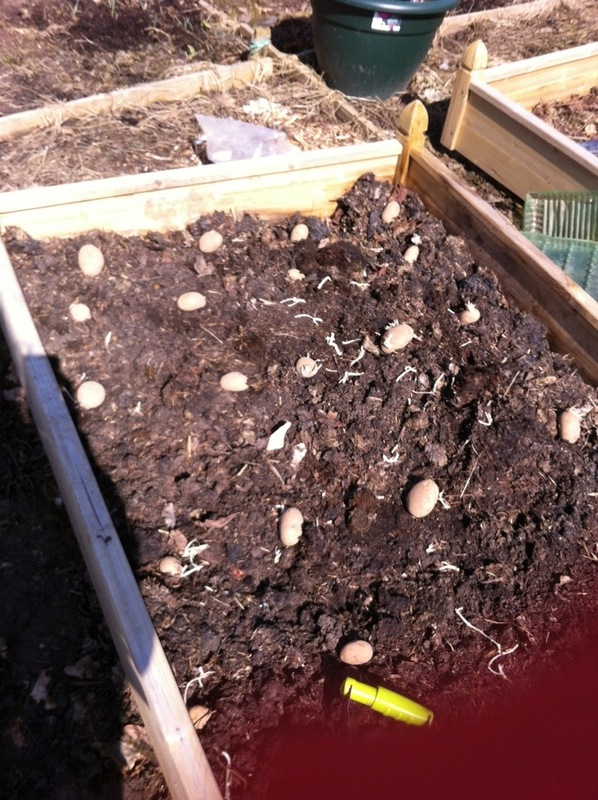 After this, there are always Dwarf French Beans to be sown as well. Summer flowering bulbs were also sank today. I had last year thought about these, but perhaps didn’t action them as well as I could have. Especially as last year all that was cultivated was weeds and super slugs. The logic behind this was, that since squashes and others require pollinators, summer flowering bulbs would facilitate. Seeing as they were now appearing in the shops, off I pootled to a poundshop and found quite a few. There are a number below that were sown today, before I got brain freeze with sheer number. A second batch will be sunk at a later date. If you have any ideas about the lis below, that would be lovely hear. A handful of the winter pansies and primulas that were planted last autumn have been spotted, so not an entirely lost cause. ….think I have enough gladioli…. Last year, I had also planted some dahlias. Sadly, with the rain and general misery last year, the tubers met their make and were eaten by the clay. A very demoralising event, and an expensive folly. The jury is out as to whether I would like to plant them again, I rather like the pom pom flower. I know that they are available in Wilkos, as well as a 99p shop! 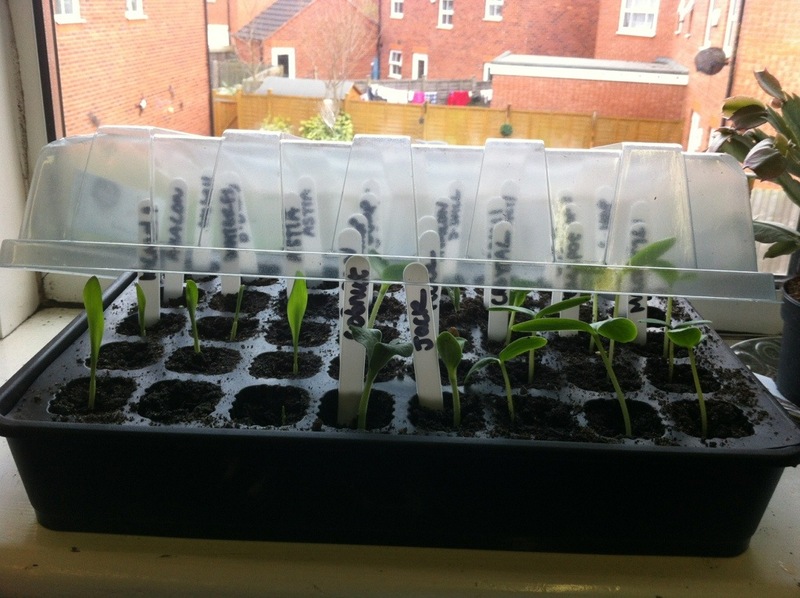 In other news, Incredible sweetcorn has come through the surface of module dirt as have Crystal lemon and Femspot Cucumbers There are baby sunflowers also coming up. 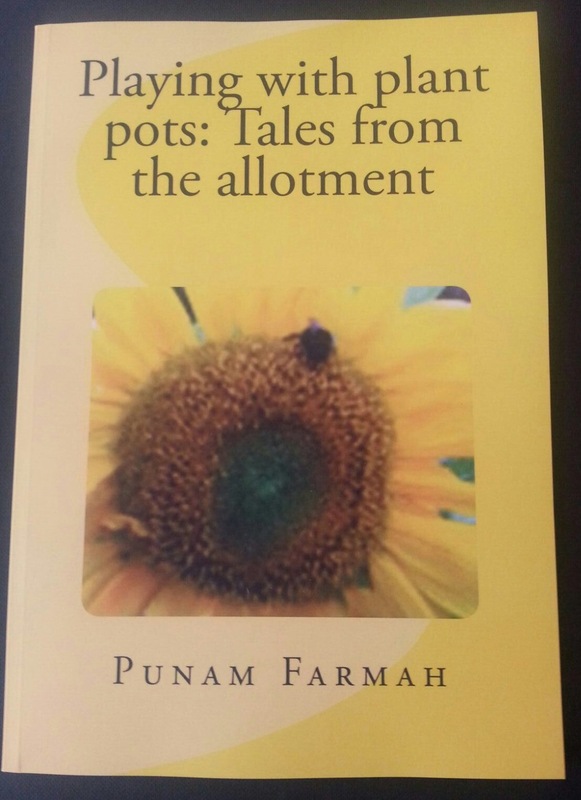 I heard about this from a fellow gardener and was rather intrigued. My seeds have just come through, and I will sowing very soon. All being well, I shall post what happens, so watch this space for that. After months and months of worrying, calculation and foul weather; a job has been done! All 12 raised beds are now full of dirt! All of them were filled with last years leaf mold, garden waste, anything that I could get my hands on. So as to prevent me from having to shell out for huge amounts of compost. This was really starting to bug me. Today offered a lovely opportunity to get a big job done. With three beds containing poop and potatoes, that was useful. There was still one and a half bags of leaf mold left. So this was used to layer up three of the 1mx1m beds, in that they were bulked up. 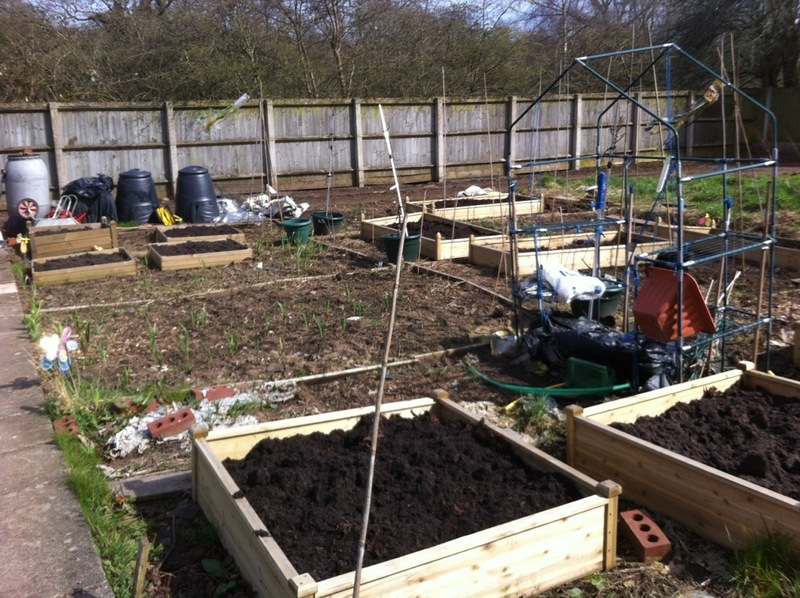 Then, each bed of the nine got composted. 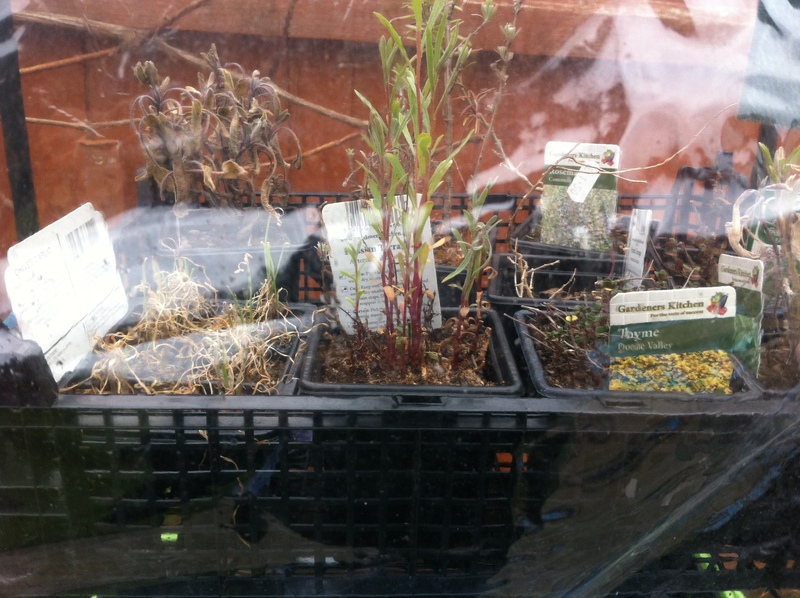 I had hit the garden centre this morning, doing two trips and feeling on a mission. I was going to get this job done, it felt right today. 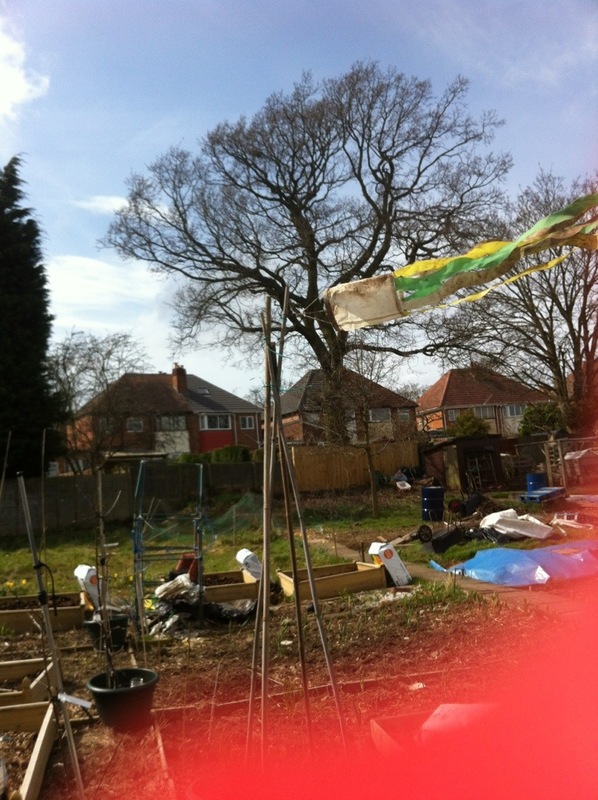 In the two trips, the large bags were carted to the plot and placed in situ. A quick wardrobe change-had to put the red wellingtons on- magic spade in hand, and off I pootled. Leaf mold was shovelled into where it needed to be. Then one by one, each bed was filled. It has to be noted that I am aware that beds do sink so over time and will need to be filled up. So these beds are not entirely filled. But full enough. Whilst it is bright-there was a funeral today, in Blighty-it is windy! Very windy. 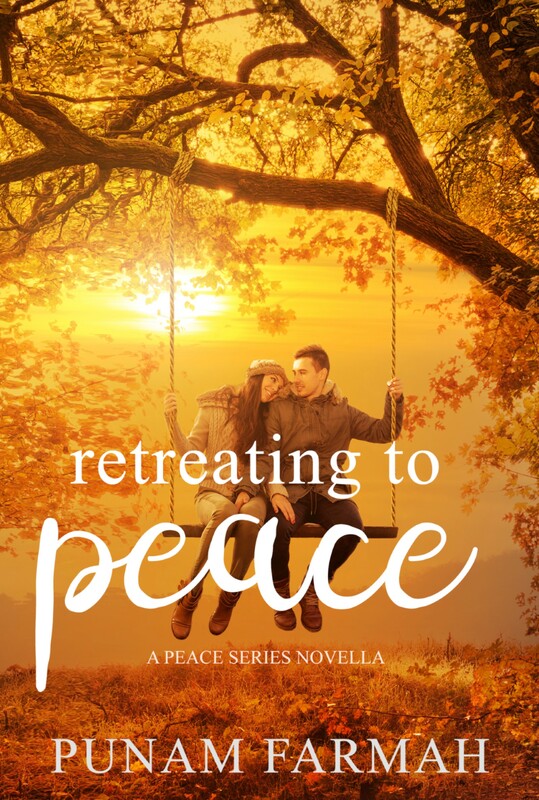 I found myself stopping to stand still, so as to now keel over and into the dirt. Filling the beds is a huge, huge landmark. Very important, if the plot as a whole is going to work. Means I can think in detail now as to what gets planted, when and how. My initial thoughts are of Ma’s fenugreek and spinach; perhaps some chard too. It’s no good filling it but not using it. Squashes will be going into the beds, but it is a little early yet. Have planted enough onions, I think, to sink a small ship. I won’t be sowing any more. I forget now, the different varieties. But there are brown, white, red and white onions covering a good eighty per cent of the plot. This, is going to make things difficult later on, I think as I plant to sow dwarf French beans too. The reasoning was to sow DFB’s where ever there was any spare space. As you may have already read, the autumn and winter was wall to wall rain. This more or less killed all of the overwintering onions and shallots. 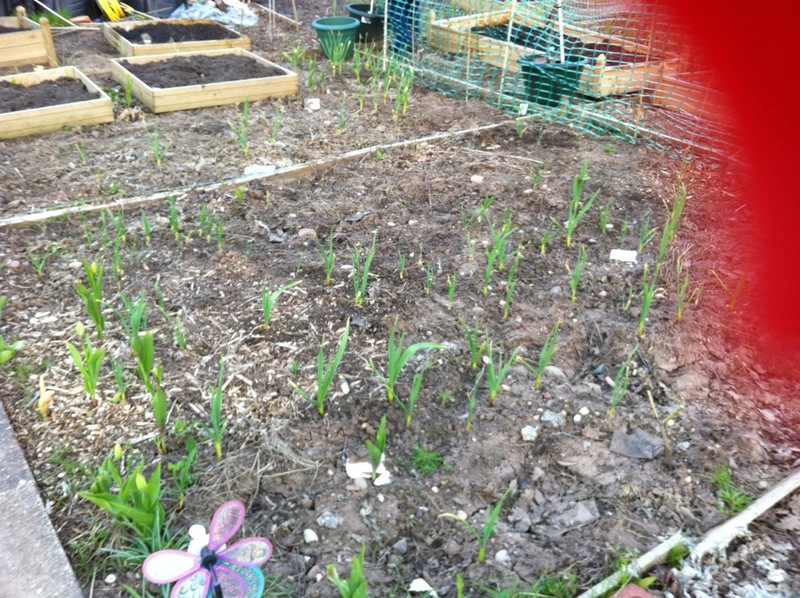 Some of the garlic, was more hardier than expected and it has taken off beautifully. On observation, whilst it is nice to see, it does appear to be on the smaller, thinner side. This could be, the elements or the variety, it is difficult to categorically identify cause and effect. It did make me happy though! To see the garlic standing there proudly on sentry duty. With a long way to June, July and August, the crop has plenty of time to fatten up. Besides, looking at the top, means nothing as to what is happening down below. With the one bed that is chocca full of allieums, to see the green foliage is heartening. In the dark dankness of the autumn and winter, there was great difficulty in seeing the woods for the trees when everything seemed to be decimated. One could very well end up with a field of onions. It worked for Chicago…. 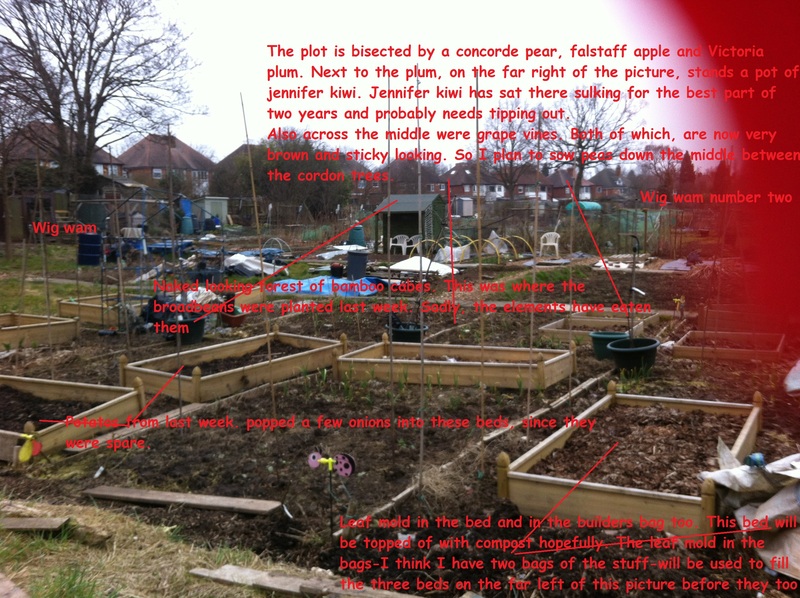 There must be hundreds and hundreds of onions on the plot. Might keep mama h busy for a while. Have yet to think about how to store them, or how to dry them. Answers on post card please. Grapevines. Two very brown and sticky grapevines, planted in the depths of autumn. One of which is still standing. Neither, seems to have rooted. Very disappointed, these were supposed to grow and bisect the plot. Broadbeans, have died a death. Those gangly, green creatures from last week; have become blackened beings. Those that I could see, that is. They have disappeared completely. I did think that they were too good to be true. 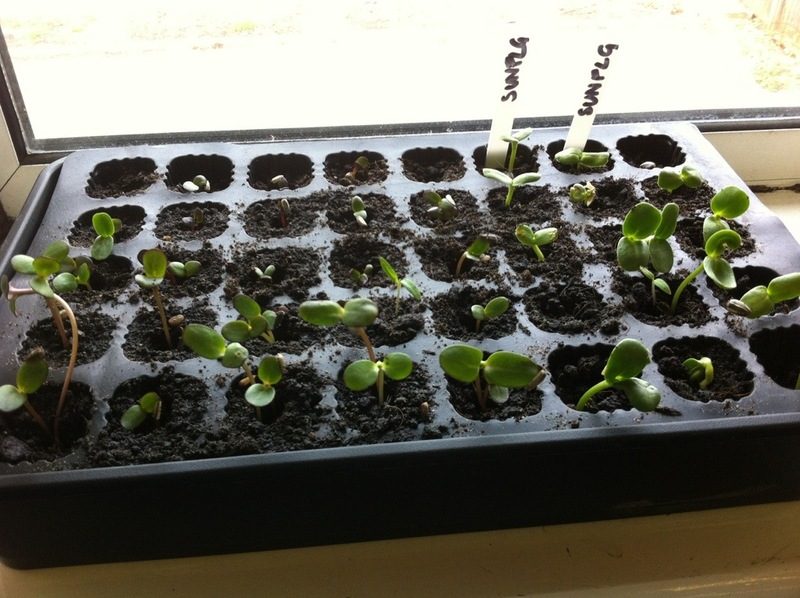 I did direct sow a few last week. But I guess I will be sowing some more indoors. Very very disappointing since they were held back for such a long time. I’m not sure as to whether these will be in paper pots or traditional modules. Just very disheartening really. One could scream and shout. 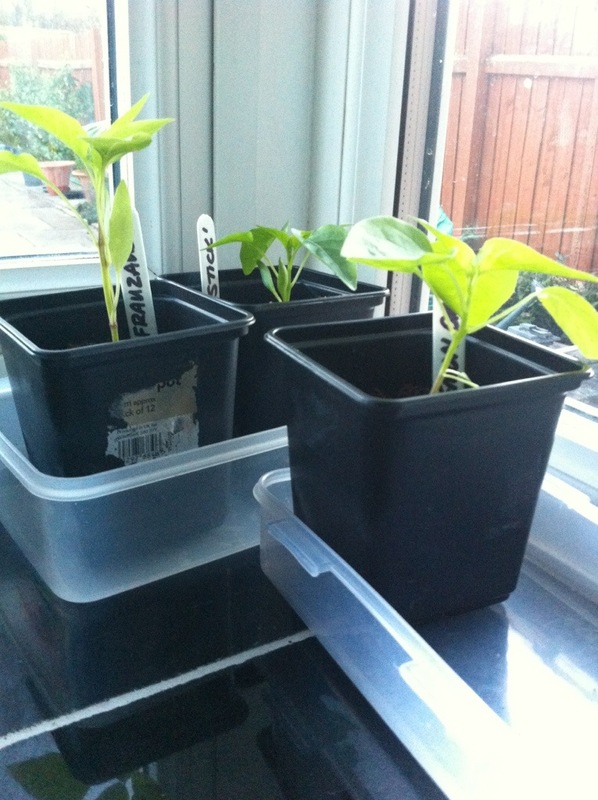 Runner beans are thought of as happy saviour. This morning, I have been trying to think of the infrastructure as the title of the blog suggests. A couple of wig wams have been put up. And several rows of bamboo cane, to which pea and bean netting will be slung. It’s not very clear in the picture, imagine walls of beans. That will mean lots of beans being sown, again a matter of luck. You do realise that I won’t actually be able to reach the top of the canes to hanf the netting. May need adult supervision and aid for that one. Won’t be expensive netting either, just the cheap quidland variety. If they don’t all fall down in the wind. Herbs: Thyme, Rosemary, Garlic Chives, Golden and common sage, oregano, Russian and French tarragon plus another one that isn’t labelled. This have been sat in the four tier blowaway for months-which is why the sage and chives look a bit worse for wear-and I would like to put them out onto the plot at some stage. Rather than sink them into open ground, they may take up space in the raised beds. Whilst it is still very early, squashes will be carefully considered. As to which ones, and where. 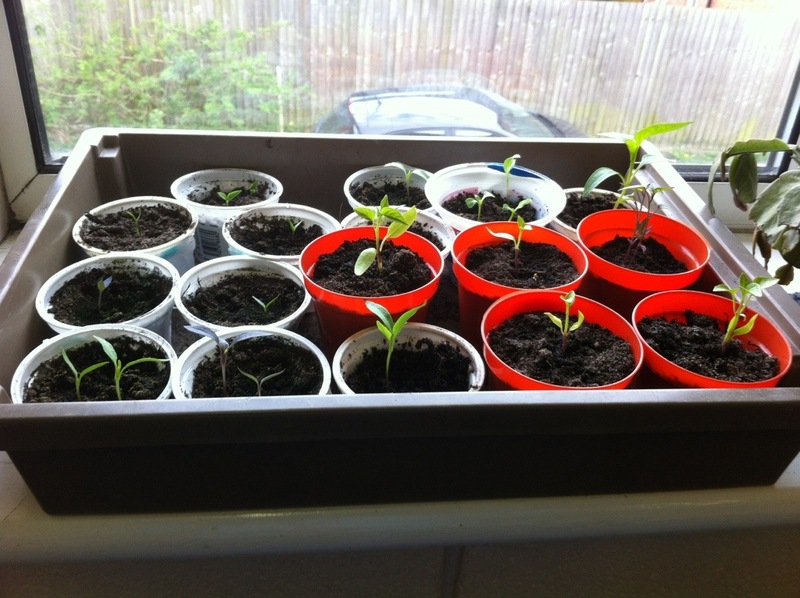 Theoretically, one or two could be planted per bed. With three beds containing potatoes, that leaves nine beds in which a couple could take up residence. There are quite a few varieties in the seed stasher. To this day, Bruno the Ghost rider and Claude the courgette are very flukey, and most likely beginners luck! Posh roses seem to be doing okay. Growing leaves and buds. The poundland ones, look exceptionally sorry for themselves and are a fraction of the size of the posh roses. So the jury really is still out on them. I am fighting a constant war with the raised beds, in terms of making sure there is material in them. 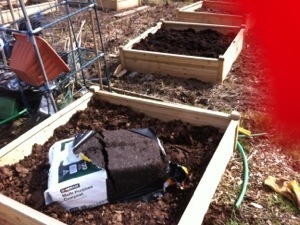 There are two builders bags that contain leaf mold, and this will be used to add to the some of the beds. Then, hopefully, as I’ve been saying for months; a layer of compost will be put onto the top. Today, I had half a lie in so didn’t muster of up the gusto to get it. Plus, as I look out the window; precipitation has arrived. As is expected with April. 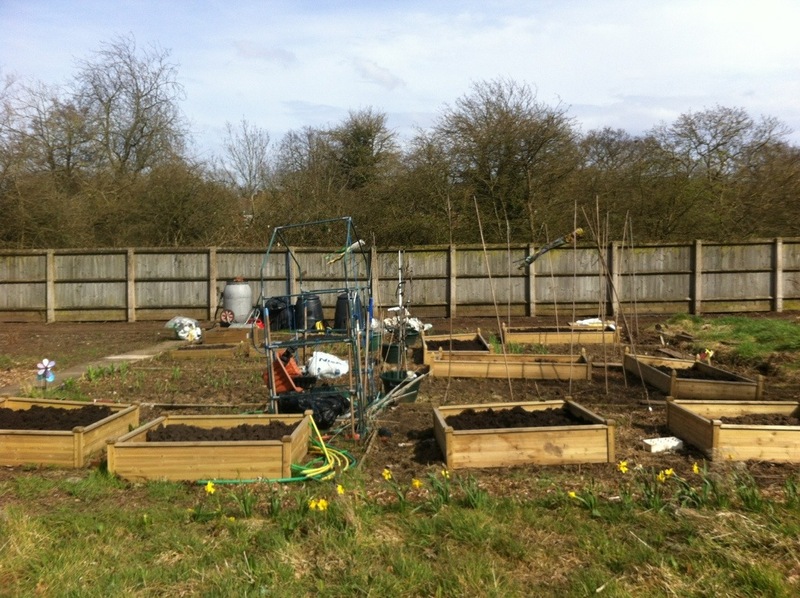 With having workable raised beds, it will feel as though there is progress and after a long time. Not sure that root veg will like it in there; what with the layers of leaf mold, garden waste and compost; can just imagine wonky carrots. Which aren’t a problem, per se! 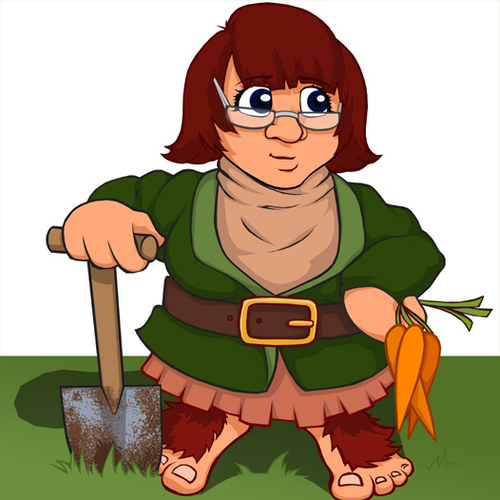 Would love to sow lots and lots of carrots. Not going to happen with the open ground, the clay is not best when a fine tilth is required. There is a bag of sand on hand, if I fancy digging that in somewhere. But will they survive. 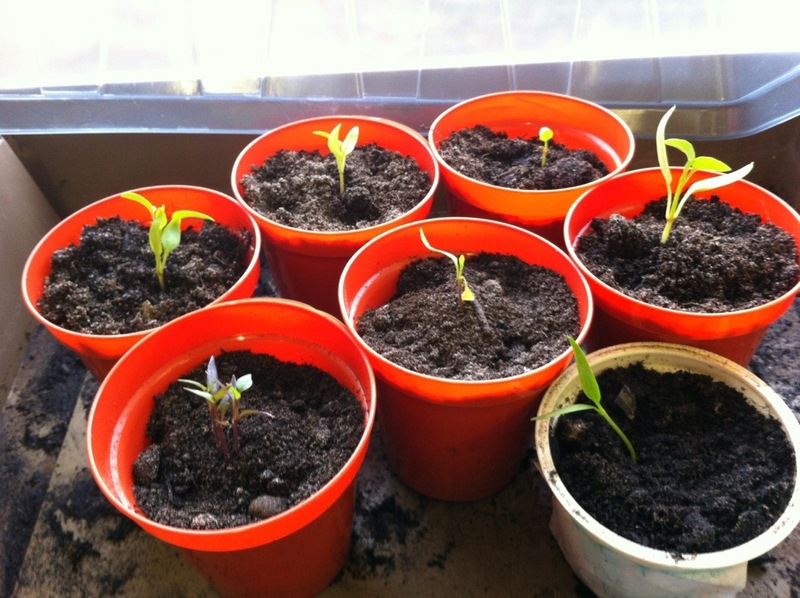 Chilies sown in the first round, February sometime. Not sure what they are, but there are purple ones in there somewhere. 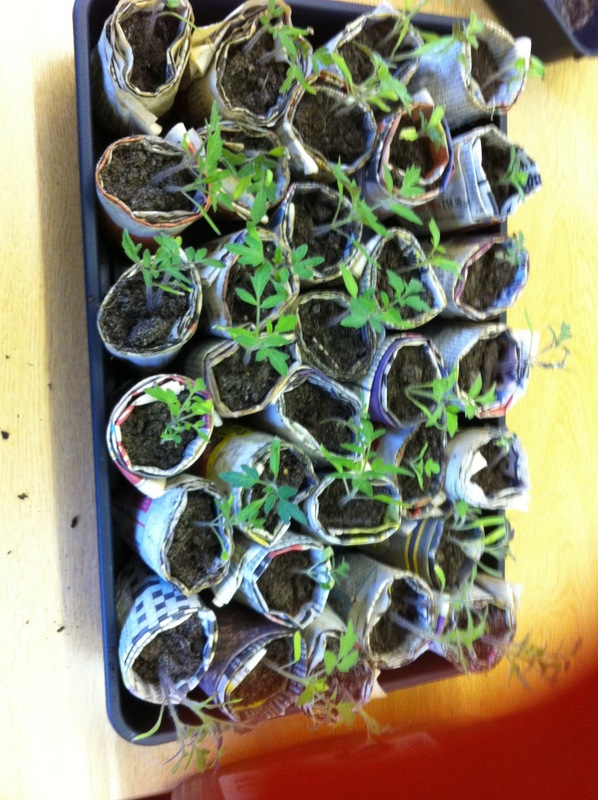 Prior to the Easter Holiday, I had very conscientiously pricked not and moved on the many different baby tomato seeds. This was a very precarious process, and a few didn’t make the transfer. The babies that did, did pick up and make great strides. Then came the holidays. And I made a huge mistake. I drenched them before I left, left a lot of water in the tray. But didn’t bank on the up and down classroom climate. Coming back after the fortnight holiday, I returned to carnage. All were keeled over, many were crispy and curled too. Cue panicked dash to water them. Sadly, not many pepped up. The three that you see in the picture were the only survivors. Woefully demoralising, as I don’t seem to have much luck with tomatoes. 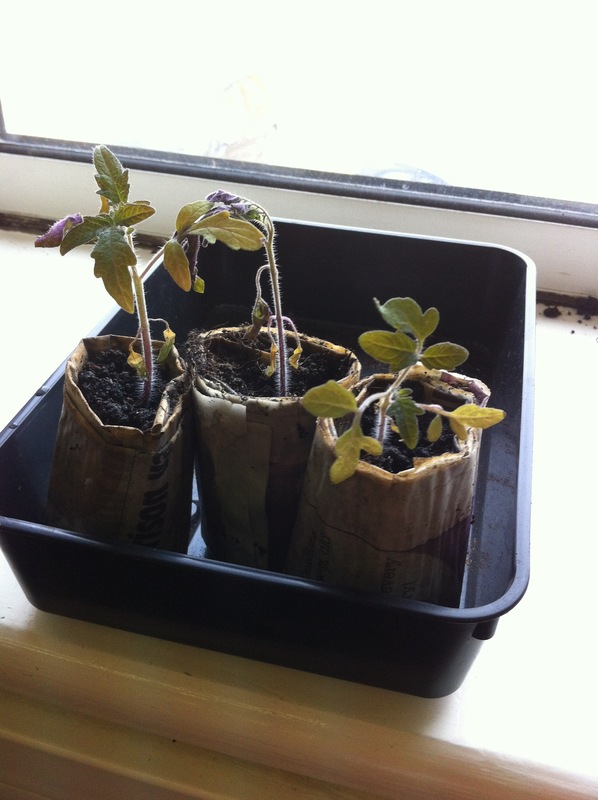 I will be resowing as soon as I can, thankfully I do have some time still. I have no idea what varieties the survivors are, there were both bush and cordon varieties. The purple colour the babies turned was rather pretty. Have had a rummage in the seedbox and will be resowing.